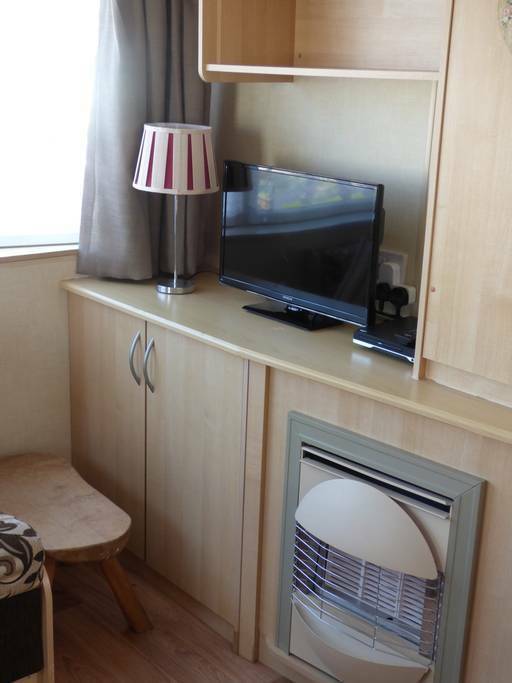 About A coastal hideaway adjacent to sandy Norfolk beach. 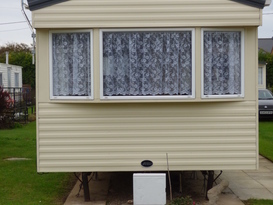 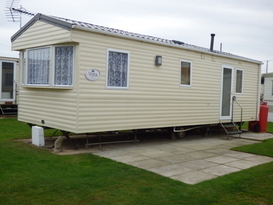 Enjoy our 'home from home' ABI Vista Platinum static caravan, located at Beach Haven Caravan Park, Bacton, Norfolk - just a five minute walk from the beach, accessed through a private gate. 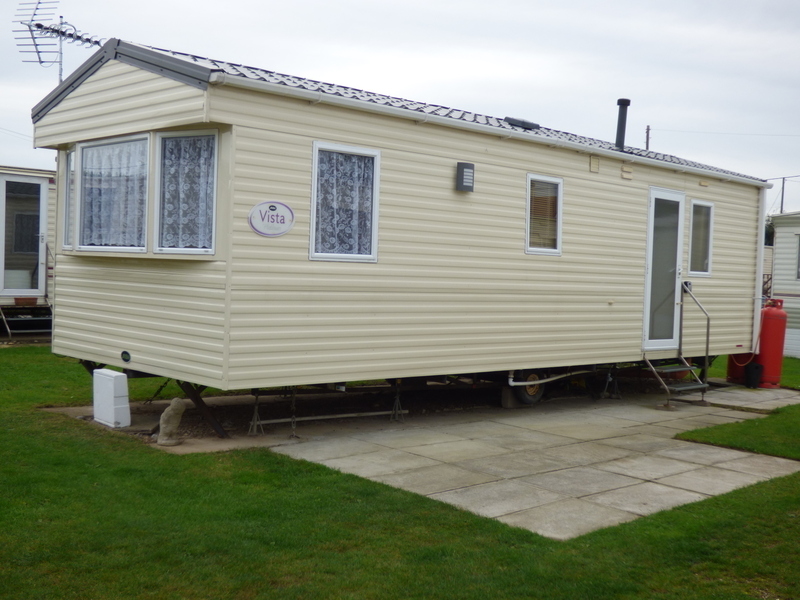 Beach Haven is a small, peaceful and tranquil caravan park, perfect for those with a simple desire to escape the hustle and bustle for a quiet break with little or no noise. Adjacent to the site are the village shop, public house, fish and chip shop, Chinese restaurant and a lovely coffee shop/gift shop. 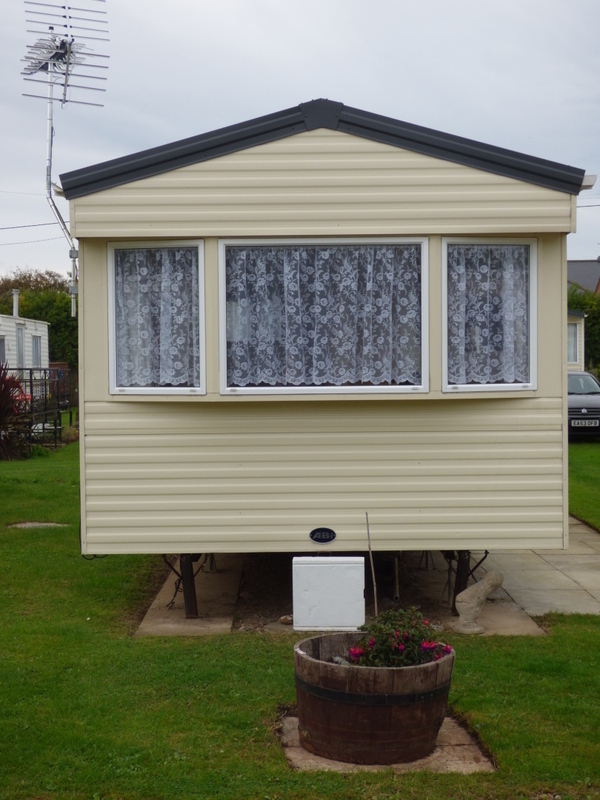 We hope that you will enjoy your relaxing stay in our Norfolk hideaway. 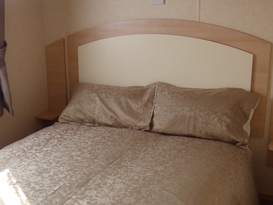 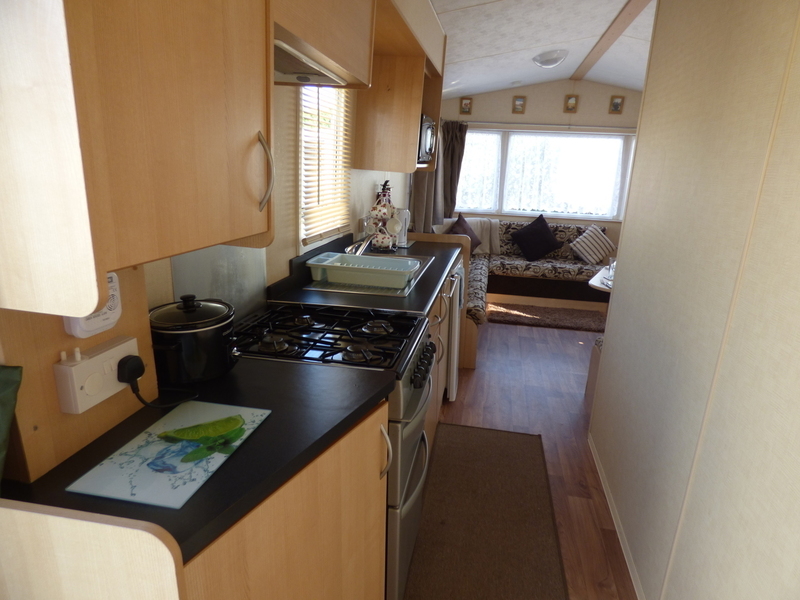 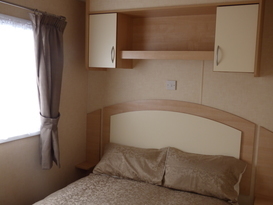 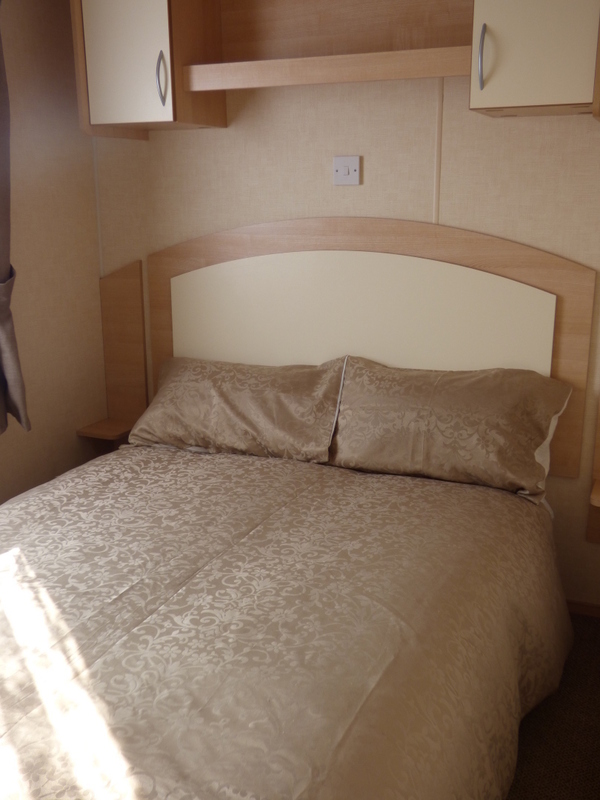 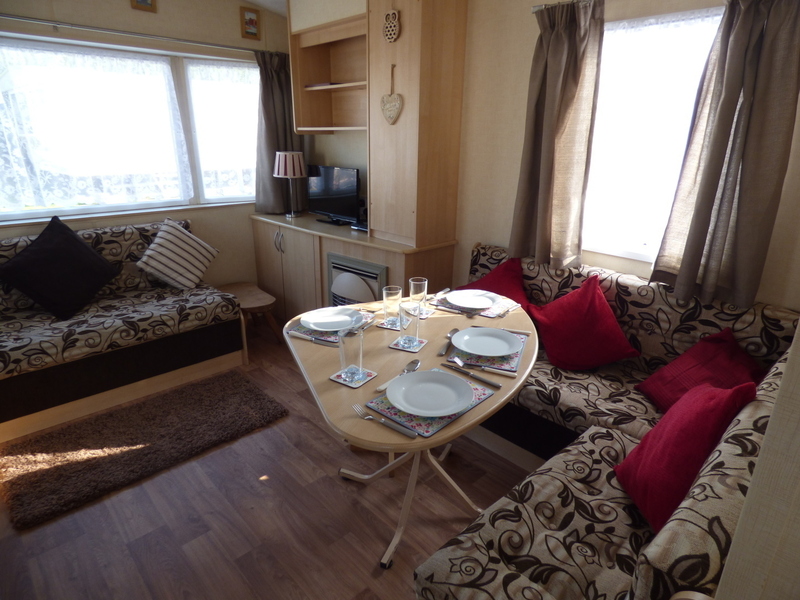 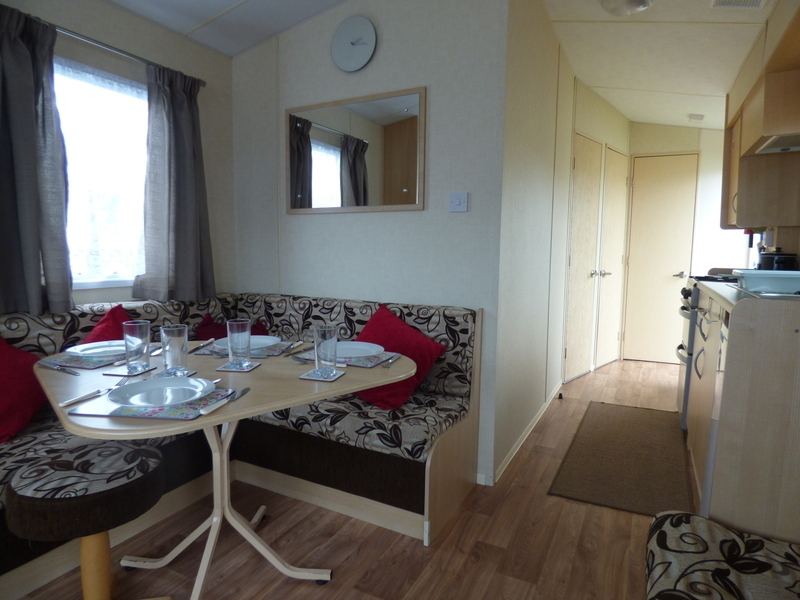 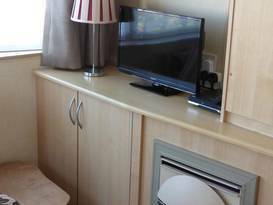 The caravan comprises one double bedroom and one twin- bedroom. 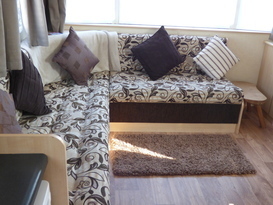 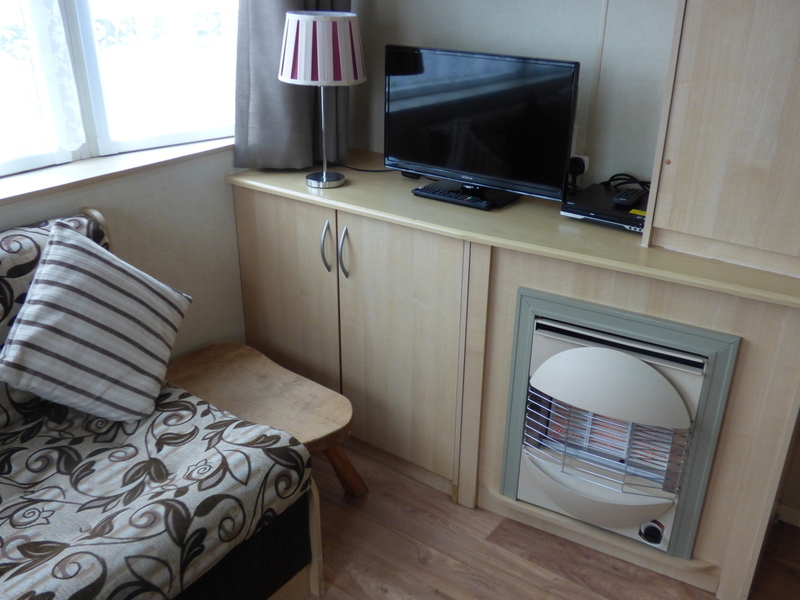 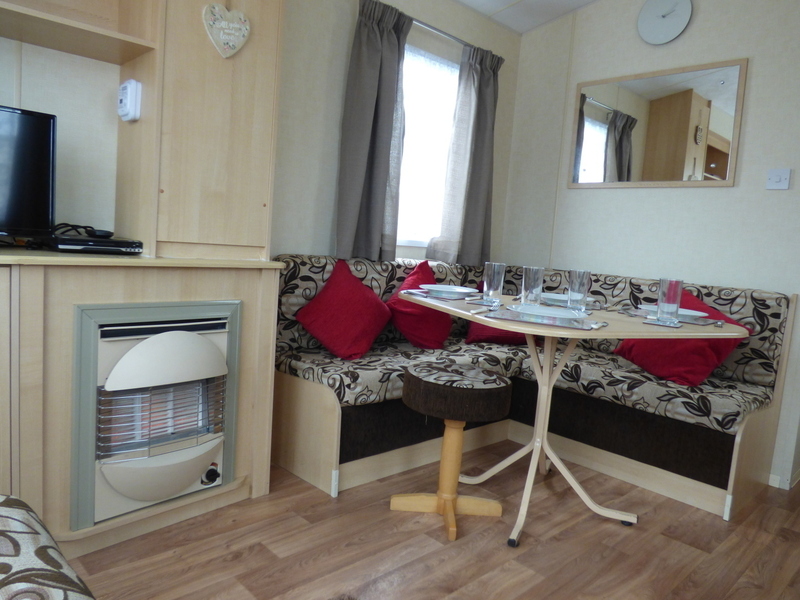 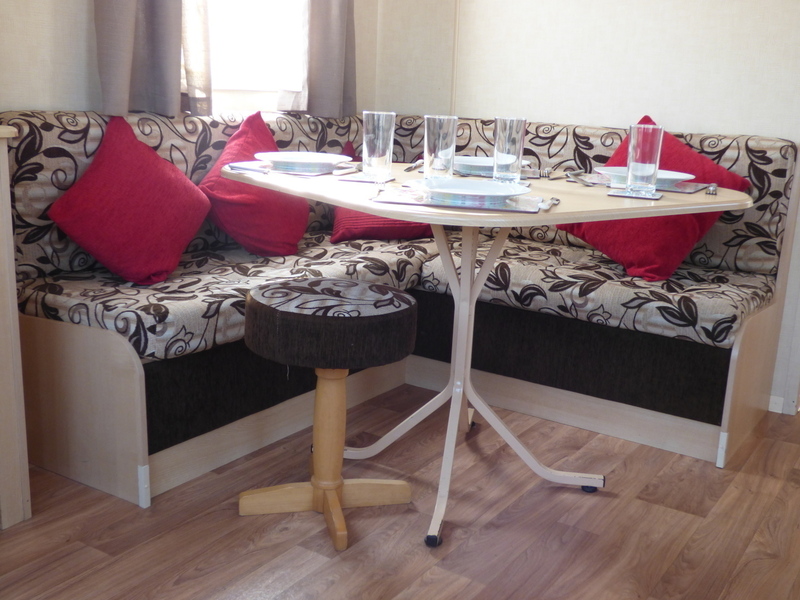 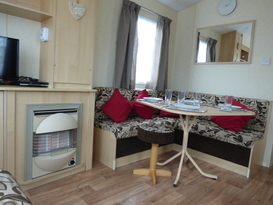 There is an 'L' shaped seating area for relaxing, with gas fire, Freeview HD TV and DVD player. 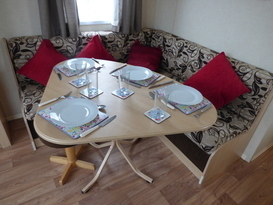 The dining area has both fixed seating and a stool around the dining table. 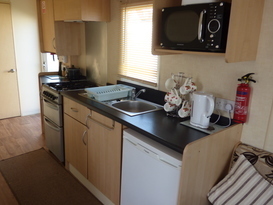 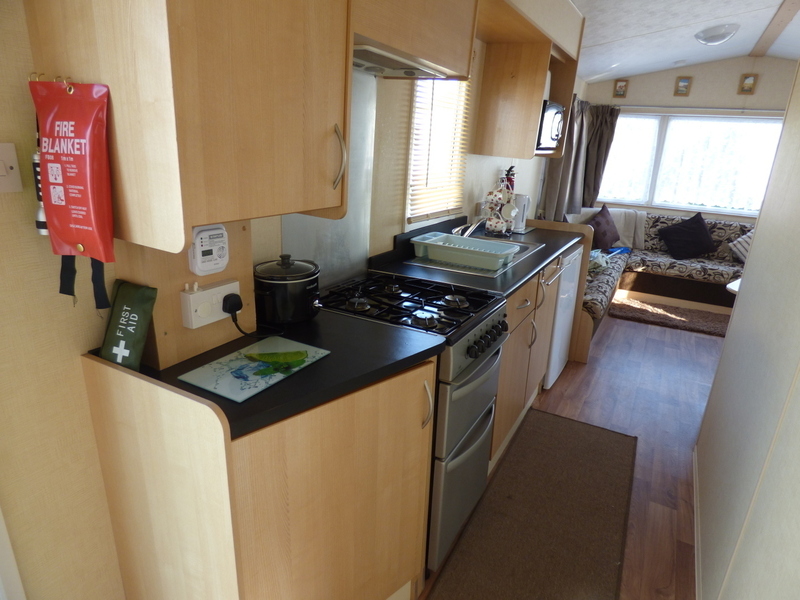 A fully equipped kitchen, with gas cooker, electric slow cooker, fridge, microwave oven, electric kettle and toaster. 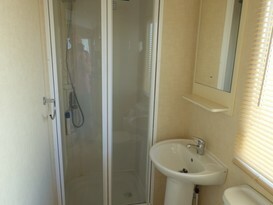 The bathroom comprises toilet, wash hand basin and shower. 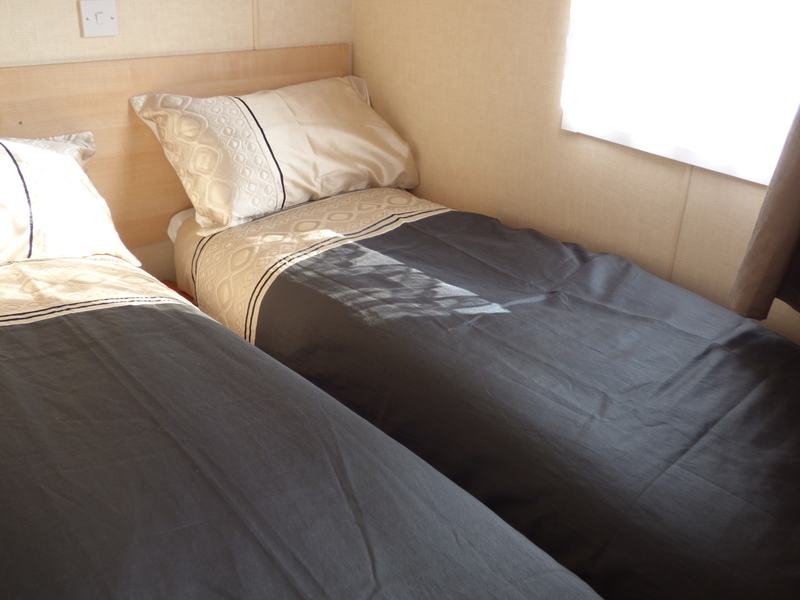 Duvets and pillows are provided, however you will need to bring your own double and single bedding with you. (Pillow cases, duvet covers and sheets). 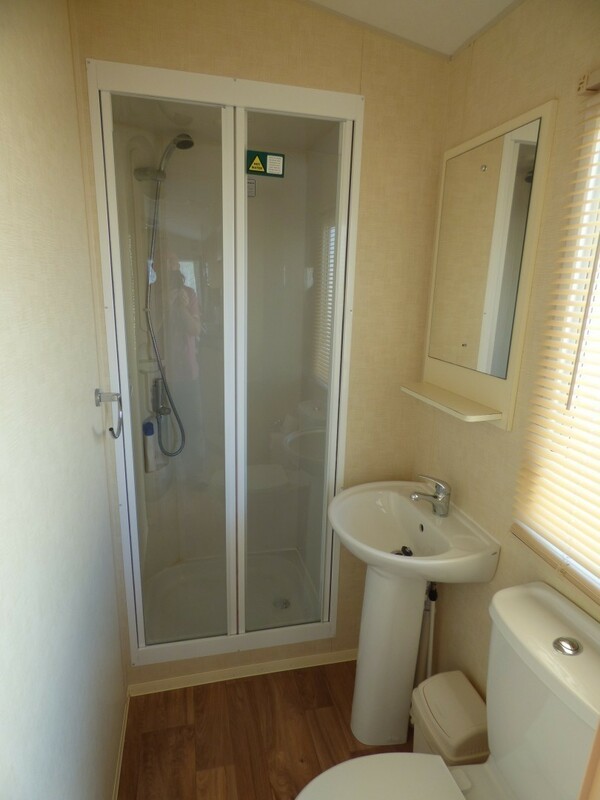 Also, you will also need to bring towels and tea-towels. Our caravan is strictly No Smoking and we appreciate you adhering to this. There is also a fully equipped laundry room on site - having both washing machines and tumble driers. 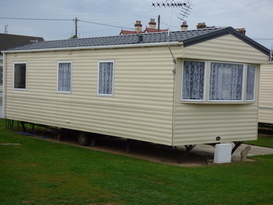 (Token operated which are purchased from the site manager). Our caravan is less than a 5 minute walk away from Bacton beach, accessed through a private gate. 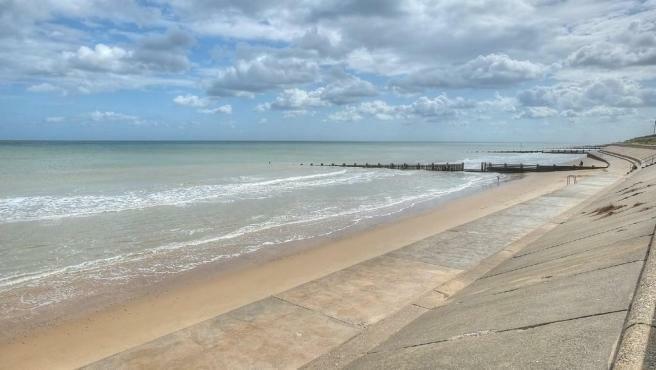 The picturesque resort town of Cromer is a short drive north and the larger seaside resort of Great Yarmouth and county town of Norwich are easily accessible for day excursions. 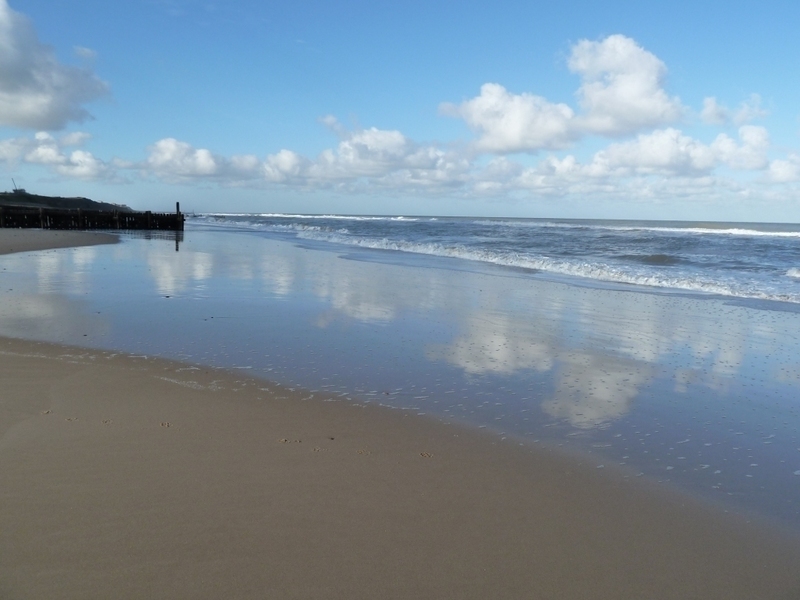 The area boasts miles of sandy beaches, excellent walking/nature trails and close to the famous Norfolk Broads The north Norfolk coast is renowned for it's birdwatching with several nature reserves within easy reach. 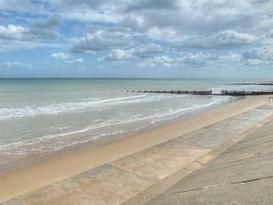 Getting around is easy by car - with short drives to Cromer, Norfolk Broads and other Norfolk coast attractions. Bacton Woods is 2 miles away - ideal for walking and cycling. The nearest railway station is at North Walsham (7 miles away) with a direct route to the county town of Norwich. 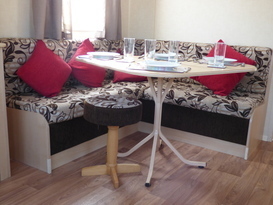 We have provided most items to ensure you have a great break / holiday. 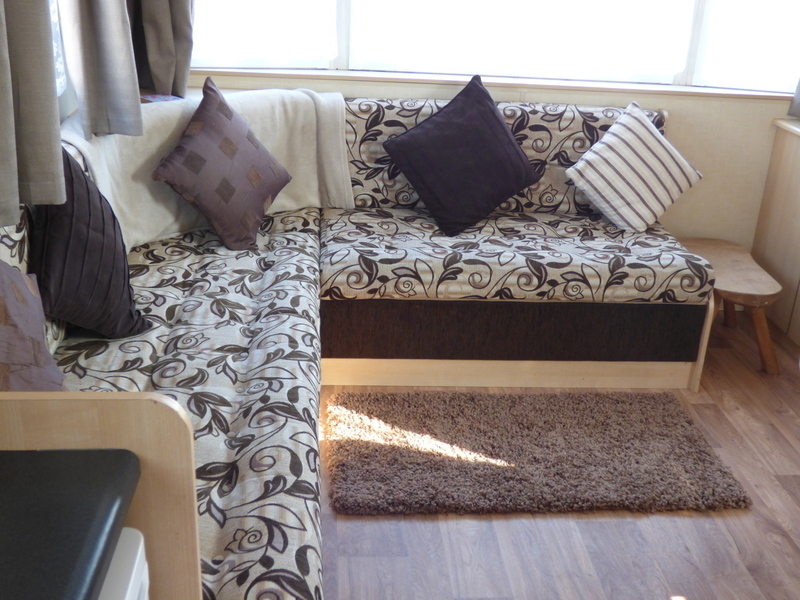 However we kindly ask that guests bring their own duvet covers, sheets, pillow cases, towels and t-towels.